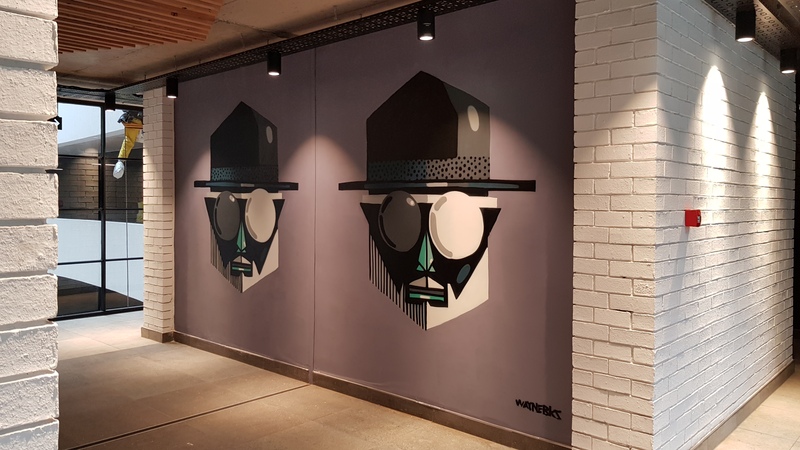 Between December 2018 and March 2019, BAZ-ART was commissioned by the Woodstock Exchange “Wex” to create 7 murals for the new Wex1 project. 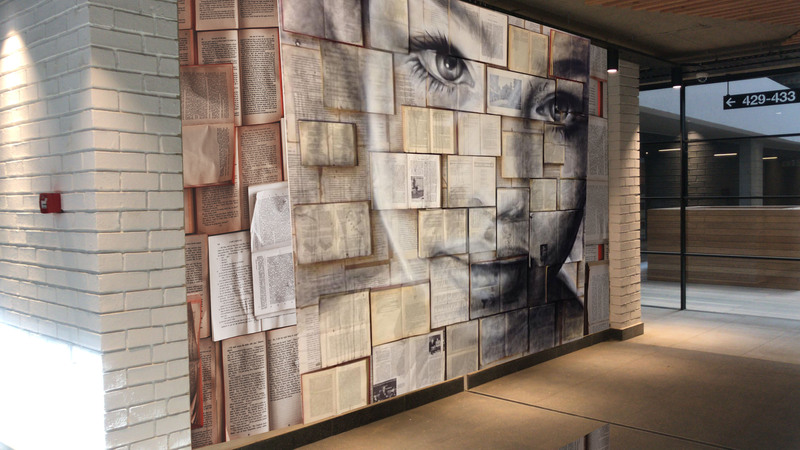 At BAZ-ART, we used the creation of murals as a medium to visually manifest a personality for a space. Our craft entails using a company’s own themes, “why” and imagery to reinforce their brand and company culture. It is well known that art in any environment has a big impact on how one feels, be it in a professional work environment or personal home space. Through this project, Wex wanted to create murals that were to inspire and convey a level of creativity and culture to all who enter these different spaces. BAZ-ART was to deliver murals on each different floor, creating different moods and atmosphere through each unique piece. 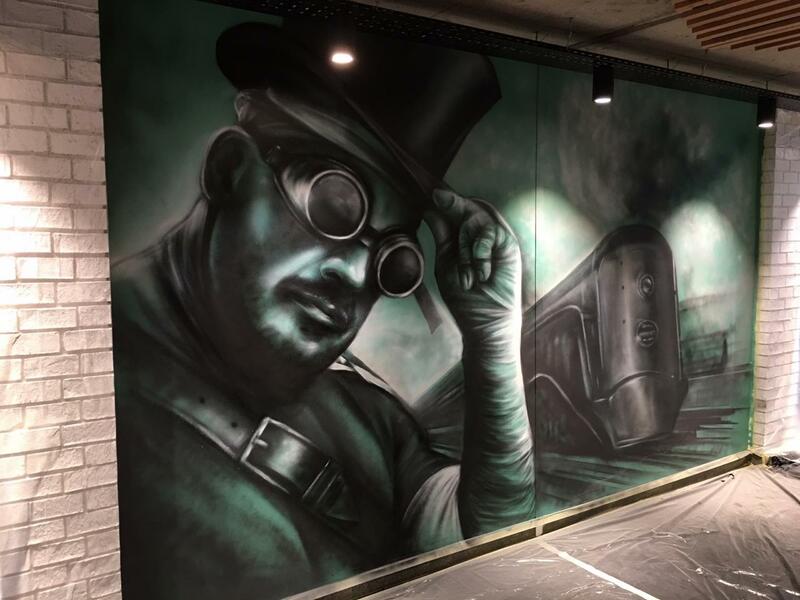 We worked alongside the building owner, interior designer and architect to ensure that each mural was well-suited into architectural and design schemes in a truly transformative way. The Woodstock Exchange being a multi-purpose space which incorporates retail, commercial and residential space where Capetonians flock to work, play, interact, exhibit and live has created a lifeline based on “creativity and inspirational exchange”. Through our murals, we aim to evoke this ethos in a way that words often cannot express. These murals leaves a lasting impression on the employees and residents who see it every day, and on those who visit either once or frequently. 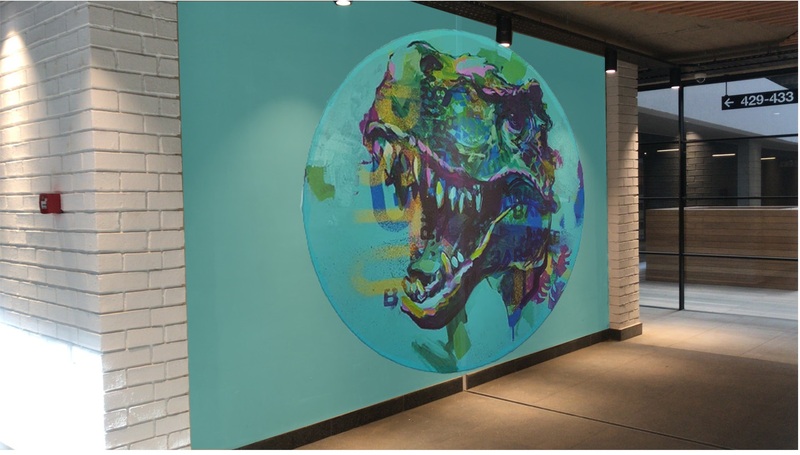 For this project, we commissioned different local street artists, according to the style and brief of the client, each applying their unique skills to the lobby walls at the WEX1 Project. The mural as you enter on the 1st floor was created by an abstract South African artist, Paul Senyol. This mural on the 4th floor is created by artist Dekor One. 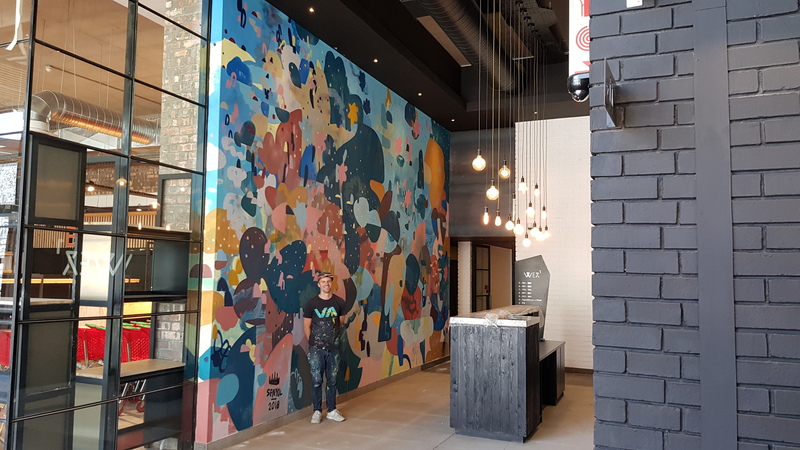 The mural in the lobby on the 5th floor of our WEX1 Project is created by South African based mural artist Justin Nomad.